Jharsuguda: Vedanta Ltd., Jharsuguda was honored to host the ‘Taxpayers Outreach Programme’ in collaboration with the Office of the Principal Commissioner of Income Tax, Sambalpur on 10th August 2018. The objective of the programme was to sensitize citizens from different backgrounds on the relevance of Income tax in nation building and issues related to it. This unique symposium saw deliberation on pertinent issues related to Income tax, different provisions, demystifying myths, mitigating concerns and to address queries raised in relation to the subject. The programme was co-partnered with the Chartered Accountant association of Jharsuguda and Sambalpur who lent an active support to the conduct of the programme. 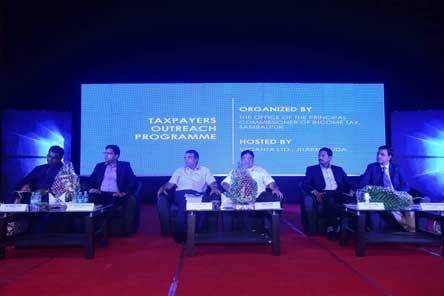 The programme was chaired by Mr. Debendra Narayan Kar, Principal Commissioner of Income Tax, Sambalpur. 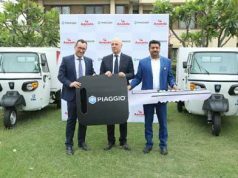 The dignitaries on dias included Mr. Abhijit Pati, CEO – Vedanta Ltd., Jharsuguda. Mr. Ashok Sonthalia, CFO-Vedanta Ltd., Jharsuguda, Mr. MV Rao, Sr.VP & CFO-Tata Krosaki Refractories Ltd., CA Sandeep Shah, Chairman- ICAI Sambalpur Branch, and CA Himanshu Barpanda, Chairman- ICAI Jharsuguda Branch. 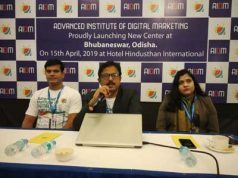 The event saw the participation of nearly 300, hailing from Chartered Accountant Association, Utkal Chamber of Commerce Jharsuguda, employees of Vedanta Ltd., Jharsuguda and representatives of other important associations from Jharsuguda, Sambalpur, Bargarh, Sundargarh and Rourkela. 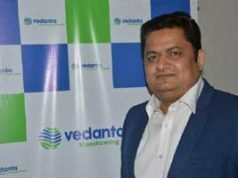 On the occasion Mr. Kar thanked Vedanta for lending a strong hand of support and said, this was one step towards reaching out to people and addressing their concerns regarding the various facets of Income Tax, so that together we can contribute our share of income for the greater purpose of building a vibrant India. The inaugural session was followed by an engaging open house and various issues were addressed by the experts from income tax department.